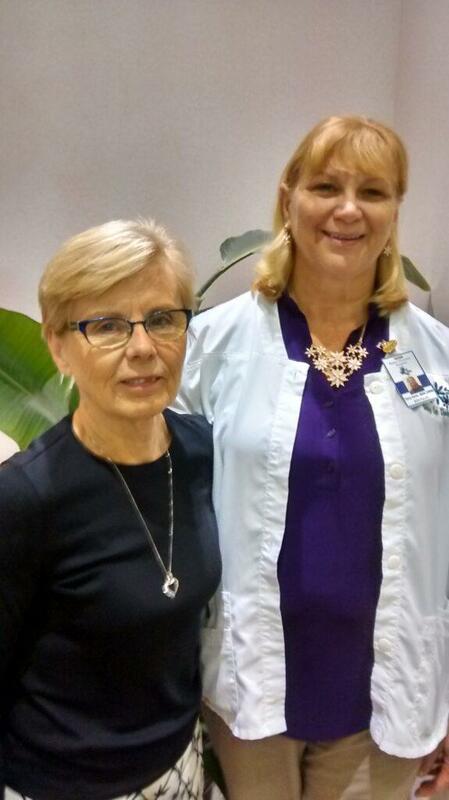 Dr. Bonnie Hesselberg, Program Director Keiser University ABSN program with Terry Doire, RN MSN CRRN, Nursing Faculty and SNAC Doctoral Scholarship recipient. 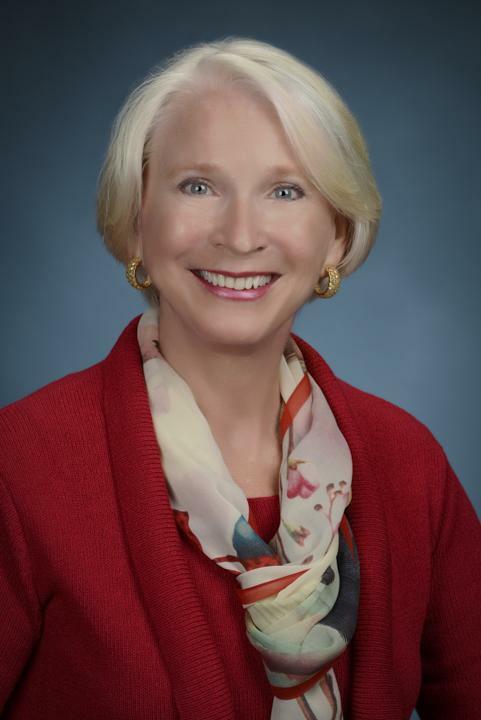 Next opportunity is the philosophy that has led Terry Doire to RN to BSN to MSN to CRRN and now to a Nursing Faculty position at Keiser University and into her Doctorate in Nursing Practice at Nova Southeastern University. That’s a big long sentence it stretches over many years and encompasses many next opportunities seized. Ms. Terry Doire received a 2017 SNAC Nursing Faculty Doctoral Scholarship. Read on to discover how nursing education has and will be impacted by the decisions she made to follow opportunities. Terry learned very young to listen to her mentors. “At age 17, I ruptured my appendix with peritonitis and ended up in Mass General ICU, hospitalized for 30 days and nearly dying. I had just 2 weeks left in my first semester of nursing school so had to take an incomplete. I was trying to do my work lying in the hospital be but too sick. It was a nurse in the step-down ICU after I came out of a coma that kept me going in my career choice. She had compassion, knowledge and a positive attitude. Her bedside manner and encouragement sent me back to school in the next class. Getting my ADN in 1979 in Boston as there was a nursing shortage meant instant employment and I have never looked back. My Mom, also a nurse, is my greatest mentor. I watched her work overseas in the mission field with limited supplies and knew I wanted to me just like her. We had the opportunity to work together in a volunteer medical mission to Santa Domingo and Haiti in 1990. Working side by side, one day in the operating room she turned to me and said,” Do you know what you are doing?” Yes Mom. She was then impressed with the knowledge I had obtained over my career. By 2019 I will be a RN for 40 years. It is all the experiences and clinical/ managerial aspects and pitfalls and discouragements that led me to this exact point in my career and the decision to now teach. I don’t think I could have done this with the passion I have now 10 years ago. I thought I was ready, but it was not the level to which I was destined to teach. I kept going back to school and advanced my career “the long way”. My BSN in 1990 as there was an initial push for BSN’s especially in manager position: My MSN in 2012, also from St. Joseph’s, in preparation for “whatever” my life course took me to explore new career options. As you get in your 50’s, you reflect on how you want your children to remember your job ethics and career. After a chance meeting with the Nurse Education Navigator from SNAC; she listened to what my roadblocks where and what my passions were. She just came out and said, “You need to teach!” I filled out my DNP applications that night and applied as faculty at Keiser accelerated BSN program. I am in my 3rd term for my DNP at Nova Southeastern University and teaching as full-time faculty at Keiser. With the Suncoast Nursing Action Coalition scholarship, I can concentrate on my school work and work full time without the worry of how to continue. My mentor for constant encouragement for an advanced degree is now my friend who is a stroke coordinator and a brilliant research nurse – always tells me that I can do it! Finish my dream she says! What you dream you can achieve. Teaching nursing is the future I am destined to have in my career. My Dad always said… “Keep on” “keeping on” – so I am keeping onward. How will you seize the day? SNAC is here to help.